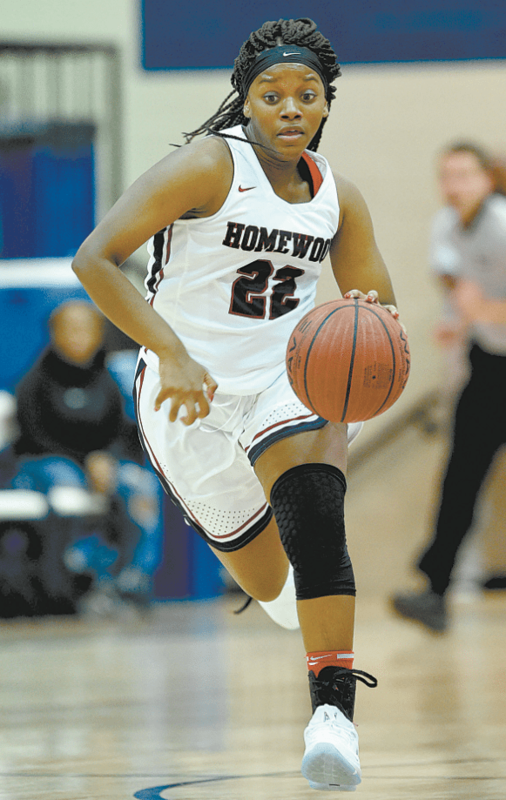 When Jazmine Powers accepted the Homewood girls basketball head coaching job last spring, it also meant she accepted the 2017-18 schedule that already was in place. “I couldn’t do anything about it,” Powers said. On a scale of one to 10, the opening three games rated a 20. The reigning Class 6A champion Patriots faced 2017 Class 7A champion Hoover in their opener, followed by 2017 Class 7A runner-up Spain Park and then 2017 Class 5A champion Wenonah in the first round of Hewitt-Trussville’s Bryant Bank tournament. Homewood lost all three games, falling in blowout fashion to Hoover (66-40) and Wenonah (59-40) and coming up a little short against Spain Park (57-54). Despite the three losses – already one more than the Patriots logged last season, when they finished 34-2 – Powers believes such a difficult opening act will benefit the Patriots as the season progresses. “I’m glad to go through that early,” she said. “We can learn from it. The Patriots bounced back to win their final two games in the Bryant Bank tournament, routing Fort Payne 72-44 and Briarwood Christian 69-24. Powers inherited a team that won two of the past three Class 6A titles and finished as runners-up in 2016. She also had a solid nucleus to build around, featuring senior guards Hannah Barber and Kalia Cunningham and senior forward Tori Webb. Barber, who has been All-State the past three seasons, signed with Alabama during the early-signing period in November. The 6-foot Webb also is being recruited. “Hannah and Tori have been solid to start the season,” Powers said. The Patriots are minus two key players from their 2017 championship team. Center Ajah Wayne, the 2017 Class 6A Player of the Year, transferred to Ramsay, and senior forward Lia Roberson suffered a season-ending knee injury during the summer. Two players who have caught Powers’ eye are 6-1 senior forward Kayla Mikula and senior guard Kassidy Crawford. “Kayla is a tall, skinny post player who has been playing well,” Powers said. “She started our last two games. It doesn’t necessarily show up in the stats, but she plays as hard as she can. I’ve always thought she had a lot of potential. I’ve been very pleased with her consistency. Powers is getting acclimated to coaching at the high school level. She starred at Austin High in Decatur, played at Samford, graduating in 2012, and was an assistant coach for the Bulldogs for four of the past five years, including their top assistant last season. This is her second high school coaching job. She spent the 2016 season at Cornerstone School. Powers is following two highly successful coaches, JoVanka Ward, who led Homewood to the 2015 title then moved to Thompson after the 2016 season; and Kevin Tubbs, who resigned following the 2017 championship season to enter private business in Seattle. Powers, however, is not putting any added pressure on herself because of the Patriots’ recent success. “I feel that God put me here and since he put me here he will give me what I need to do the job,” she said. 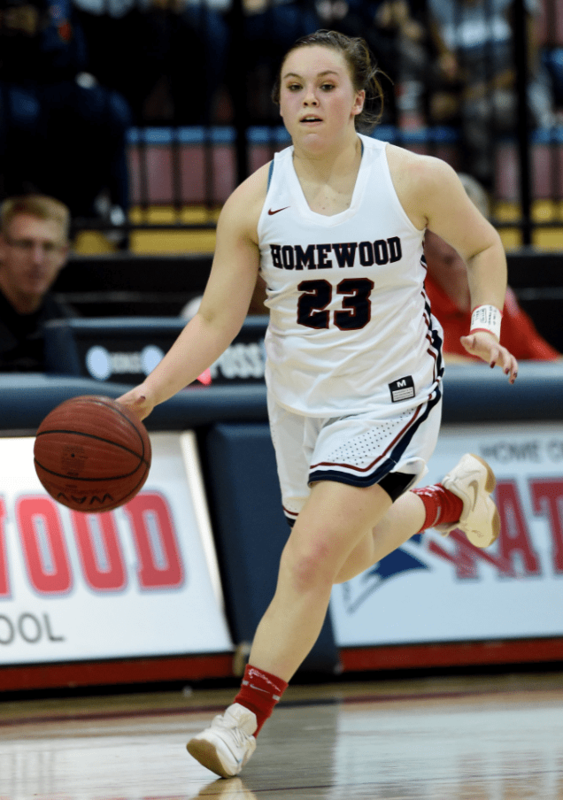 At the same time, she expects Homewood to contend for another title. “I was really excited when I took the job because we have some talented girls whose desire is to play college basketball and win,” Powers said. “I knew they’d be willing to work hard and be coachable.